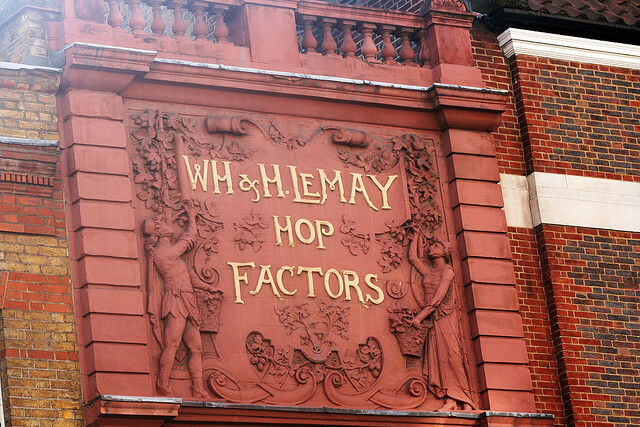 This weekend, the London Hop Shoot Festival will celebrate the historic connection between London, brewing and the land. On 27 April, London beer brewers will pick hop shoots in Kent and deliver them to pubs, bars and restaurants across around. They will challenge the venue's chefs to “get the hop shoots onto the plate and flex their creative muscles on this new-to-many ingredients” with twittering Londoners the judges. For more info and a list of participating venues, visit the festival's Facebook page. But it's not just about the beer this weekend. The Cheese & Wine Festival runs this Friday, Saturday and Sunday from 10am to 8pm (Sunday to 6pm) at the Southbank Centre. It's free to visit with more than 35 stalls providing visitors with the opportunity to taste artisan cheese and dairy, shop for foodie gifts, and of course find ideal wines, from as far afield as Italy, Australia and South America. The press release promises “no wine snobbery”. Demarquette Fine Chocolates on the Fulham Road has created a Kentish cobnut chocolate diamond praline especially for the Diamond Jubilee. Sourcing its cobnuts from Hurstwood Farms, an award winning cobnut supplier in Kent, the pralines are especially tasty and a less robust hazelnut counterpart's a real run for the money. Also commemorating the Diamond Jubilee, Berry Bros & Rudd is offering “an exceptional and very fine Old Tawny Port” that was produced in 1952, the year The Queen ascended to the throne. The Graham’s 1952 Tawny is being exclusively offered by Berry Bros. & Rudd, purveyors of fine wines to the Royal Household and holders of two Royal Warrants, from 1 May and is priced at £275 per single bottle, £795 for three bottles presented in a hand-crafted wooden box and £1,800 for a Jeroboam (4.5 litres). Still can't get a rez at Copenhagen's famed Noma restaurant? René Redzepi, head chef of the twice awarded “world's best” restaurant has announces plans to unveil A Taste of Noma at Claridge’s, as he joins forces with the Mayfair hotel this summer to mark the celebrations of the London Olympics 2012. A Taste of Noma at Claridge’s will be available for both lunch and dinner in Claridge’s Ballroom from 28 July to 6 August. René Redzepi will be in attendance each day together with his team of chefs from Noma. The five course menu is priced at £195 per person.